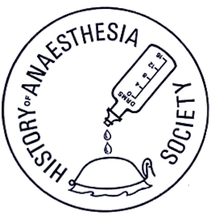 Proceedings of the History of Anaesthesia Society 2004; 34: 61-68. This paper describes what is known about Crawford W Long and of the circumstances in which he worked, in an attempt to explain why he delayed publishing his work on the use of ether vapour as a surgcal Anaesthetic. If William Clarke really did give a successful dental anaesthetic in January 1842,  then Crawford Long of Jefferson, Georgia (USA) was not the first person to use anaesthesia, but he was the first to give ether for a surgical operation, and was certainly the first person to accumulate a series of surgical anaesthetic successes. There is documentary evidence that between March 30th 1842 and prior to October 16th 1846 (the date of Morton's demonstration at the Massachusetts General Hospital), Long had used ether successfully on at least eight occasions. According to his wife, he was also the first to practice obstetric anaesthesia when he gave ether to her during the delivery of their daughter, Frances, on December 27th 1845. Frances Long Taylor gives the year as 1847 (reference 7), but was perhaps being vain about her age. By 'made the discovery' Jackson meant having first had the idea of using ether vapour to relieve pain, rather than having actually used ether for this purpose. He was still trying to claim to priority as late as 1854. Young quotes from a letter written by Long to show that Long did not accept Jackson's claim. Long also stated that, before publishing, he wanted to try ether 'in a sufficient number of cases to fully satisfy my mind that anaesthesia was produced by the ether and was not the effect of the imagination, or owing to any particular insusceptibility to pain in the persons experimented upon'. In fact he already had good evidence on this point in two patients by January 1845. On September 9th 1843 he had removed three tumours from one patient on the same day, using ether for one of these operations but not for the other two. The operation under ether was painless, but 'the patient suffered severely' during the others. Then on January 8th 1845 he amputated two fingers, again on the same day, on a boy with neglected burns. One operation, which was done under ether, was painless whereas the other, without ether, caused pain. Long also said that he was keen to use ether 'in a more severe surgical operation'  before he published, but of course capital operations were very infrequent in his practice. He must have known that it could be years before such an opportunity arose, so why did he not publish the very considerable evidence that he had accumulated by early in 1845? Perhaps an answer can be found in a study of the man himself and of the circumstances in which he was working. It is evident that Long was intellectually very bright because he entered college at the unusually early age of fourteen, and graduated second in his class when only nineteen. He then returned to his hometown of Danielsville as principal of the town's academy, before moving to Jefferson as a pupil of a Dr Grant. He then studied for one year in the medical department of Transylvania University in Lexington, Kentucky, followed by a further year in the medical department of the University of Pennsylvania in Philadelphia. After graduating in 1839 he spent a further eighteen months of study and training in hospitals in New York where, according to his daughter, he was held in high regard. He appears to have been ambitious because he wanted to set up in practice in a large city, but deferred to his father's wish that he should return to Georgia. Here he bought the practice of his old teacher, Dr Grant, in what was then the remote and isolated little town of Jefferson, and a far cry from his ambition of practicing in a large city, though his daughter says that he regarded it as a temporary post until a better opening came up. He did move, first to Atlanta, Georgia in 1850, and then in 1851 to Athens, Georgia where he was in partnership with hisyounger brother. Having established some facts about Long himself and about the circumstances in which he was working, let us now try to put ourselves in his shoes. It is, let us suppose, the spring of 1844. Long is a bright and ambitious 28 year old. Three years ago he had set up in independent practice in a very rural area, not perhaps what he had been hoping for, but his practice is expanding, he has just taken on his first student, and it cannot be long before a better opportunity comes up. He has been married for two years and he and his young wife have just started a family. It is also two years since he discovered that the inhalation of ether could be used to produce insensibility to pain during surgical operations. Opportunities to substantiate this wonderful discovery have been few and far between, but he has now accumulated four or five cases - surely enough to make people sit up and take notice. Although Long has not published his results, neither has he made any secret of his work which is well known in his native state of Georgia. But there has been no acclaim, no-one is clamouring on his door to congratulate him and to ask how it is done; indeed, quite the opposite. The local people are frightened of this mysterious and powerful drug and unfounded rumours, based on ignorance, are fuelling their anxieties. One or two of his younger medical colleagues have expressed some interest, but none of them has tried using ether. As for his senior colleagues, they are skeptical of his claims and are predicting that, sooner or later and probably sooner, one of his patients will die from the effects of the ether. Moreover, most of them can see no need for it, because the work being done in the local medical college by two of the most respected surgeons in the state is confirming that mesmerism is not only effective for the relief of surgical pain, but is also perfectly safe. Long is in a quandary. He is as skeptical of the value of mesmerism as his older colleagues are of his use of ether. A less reticent man would publish his results and set the scene for what might well prove to be a bitter argument, rather than a scientific debate, with the older men; but this is not a scenario which the modest, unpretentious Long can contemplate with equanimity. There is also, still, a niggling uncertainty at the back of his mind. Perhaps his small group of patients is, by chance, in some way atypical in their responses to either pain or to the ether itself. There was, of course, the lady from whom he had removed three tumours in the fall of last year and in whom only the operation done under ether had been painless. That had made an atypical response to pain improbable, but it was only the one case. Long is a man who assumes nothing and one who is particular and exacting in matters of detail. His mind is made up; he must collect more cases before he can publish. Long has to wait from the spring of 1844 until January 1845 before he is again able to test the effects of ether, but the case which then presents is ideal for his purpose. It is the boy who requires amputation of two fingers. Long amputates one finger, painlessly, under ether and the other, without ether, but with considerable suffering. Now, surely, he has irrefutable evidence of the efficacy of ether but, as he prepares to start writing he receives news which causes him further uncertainty. Only a fortnight or so after he has amputated the boy's finger, Long hears of Horace Wells' disastrous demonstration of nitrous oxide which took place in late January 1845. Southern courtesy forbids that the advocates of mesmerism should taunt Long about the failure of this pharmacological method of inducing insensibility to pain, but Long knows that they are triumphant. Yet it is not Wells' failure in itself which haunts Long, but the fact that Wells had previously used nitrous oxide successfully on fifteen occasions. For Long, who has still only used ether on five or six occasions, the lesson is obvious; he must collect still more cases and preferably at least one capital operation. A few days later Long receives the January number of the Medical Examiner whichcontains accounts of further etherisations. He decides that he will wait a few months to see if anyone will lay claim to having used ether before March 30th 1842. Perhaps he is also aware of some of the failed attempts with ether, and he certainly knows that the proponents of mesmerism are still scornful of the benefits of ether. At this stage, Long decides there is nothing further to be lost by waiting. As he waits, the dispute over Morton's patent is followed by the bitter squabble over priority between Jackson, Morton and Wells. All of this is intensely distasteful to Long, a man who is honourable in all respects  and who detests pretension. He wants no part in this unseemly debacle, and comes to accept that he has missed his chance of fame. The retiring and unassuming Long learns to be content with his own knowledge of what he achieved, and is fully occupied with his thriving practice and growing family. As etherisation becomes an established fact his patients, once so fearful and suspicious of his experiments with ether, now treat their clever and able young doctor with growing respect and affection; this alone is sufficient reward for the innately modest young doctor. It is not, however, sufficient for his previously unsupportive medical colleagues, who tell him repeatedly that he will not be doing himself justice if he does not press his claim for priority in the use of etherisation. Perhaps they are also keen to see that honour bestowed on a fellow Georgian rather than on a cocky northerner. Long initially resists their persuasion but then, sometime in 1848, he is invited by Professor Paul Eve, one of those 'high in authority' and co-editor, with Dugas, of the Southern Medical and Surgical Journal, to visit him in Augusta to discuss how he might prosecute his claim. There is no record of their meeting but Long is persuaded and his paper is published by Eve the following year,  bringing, no doubt, a certain kudos to Eve's journal as well as to Long. Subsequently Long gives at least two further lectures in Georgia to re-inforce his claim, [34,35] but they contain no new information. 1. Wolfe RJ. Tarnished Idol: William Thomas Green Morton and the Introduction of Surgical Anesthesia: a Chronicle of the Ether Controversy. San Anselmo, California: Norman Publications, 2001; 498-500. 2. Young HH. Long, the discoverer of anaesthesia: a presentation of his original documents. 22pp. Reprint from John Hopkins Historical Bulletin 1897; 77-78. (Wellcome Library pamphlet WZ 6:29:6): 2-3. 3. Boland FK. The First Anesthetic: the Story of Crawford Long. Athens: University of Georgia Press, 1950; 60. 4. Long CW. An account of the first use of Sulphuric Ether by Inhalation as an Anesthetic in Surgical Operations. Southern Medical and Surgical Journal 1 849,5(NS):705-13. Reproduced in Boland op cil;35-37. 7. Taylor K . Crawford W. Long and the discovery of ether anaesthesia. New York: PB Hoeber 1928;25-40. 9. Jacobs J. Some Personal Recollections and Private Correspondence of Dr Crawford Williamson Long. Atlanta, Georgia, 1919. (Wellcome Library pamphlet WZ 6:29:7); 4. 12. Nevius LW. The Discovery of Modem Anesthesia: by Whom was itMade? A Brief Statement of Facts. New York: GW Nevius, 1894; 24-25. 17. Taylor op cit; 118. 23. Boland op cit; 64-65. 27. Elliotson J . Numerous Cases of Surgical Operations Without Pain in the Mesmeric State. London: H Bailliere, 1843. 28. Esdaile J. Mesmerism in India and its Practical Application in Surgery and Medicine. London: Longman, Brown, Green and Longmans, 1846. 29. Boland op cit; 53. 30. Young HH. Crawford W Long: the pioneer in ether anesthesia. Bulletin of the History of Medicine 1942; 12;191-225. (This paper contains references to publications on mesmerism by Eve and Dugas). 31. Buxton DW. Crawford Williamson Long (1815-1879). Proceedings of the Royal Society Medicine 1912; 519-45. ( Wellcome Library pamphlet 6:29:8); 4. 32. Wolfe RJ. I sleep to awaken: an appreciation of Elizabeth Wales Wells in: l Awaken to Glory: Essays Celebrating the Discovery of Anesthesia by Horace Wells, RJWolfe and LF Menczer (Eds). Massachusetts: Boston Medical Library, 1994; 227. 35. Boland op cit; 47. 36. Sims M. The Discovery of Anaesthesia. Virginia Medical Monthly 1877; 4:81-100. 39. Nevius op cit; 4, 10-12. 40. Anonymous. Anaesthetics, Ancient and Modern: an Historical Sketch of anaesthesia. London:Burroughs Wellcome, 1907; 47. See also Wellcome Library MSS WA/HMM/CO/Ear/284 which contains correspondence relating to the error. 41. Fulop-Miller R. Triumph over pain. Translated by E and C Paul. New York: Literary Guild of America,l938; 265. 42. Young op cit; 18. 43. Goss M. Long and his discovery. Reprint from Record of Medicine, Athens, Georgia. November 1908. (Wellcome Library pamphlet WZ6:295); 6-7. 44. Buxton op cit; 13. 45. Foure J. Horace Wells and his Paris Startle in: I Awaken to Glory: Essays Celebrating the Discovery of Anesthesia by Horace Wells. W Wolfe and LF Menczer (Eds). Massachusetts: Boston Medical Library. 404-4 17.